I have been working very hard at organizing my home and this Amazing Mounted Broom and Mop Holder (Grey) by HS Home Solution is one more step in the right direction. It was easy to mount on the wall, using the included screws and anchors. Once mounted, It took just a few minutes to gather up assorted brooms, mops, dusters and other such items and get them all hung neatly and out of the way. 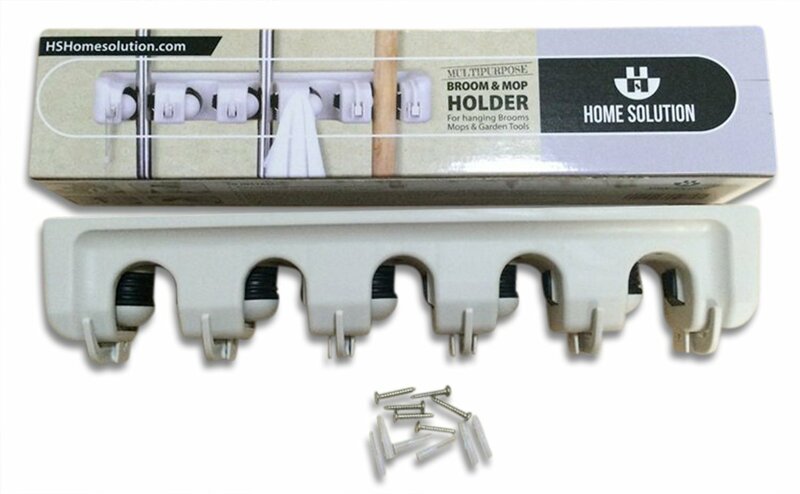 This wall mounted holder is doing a great job of keeping these items tidy and within easy reach for when I need them. I have had no problems with the handles slipping out, or anything falling from this holder. It does just as I had hoped, and is helping me to get my home more organized.